Every summer, I think I'll discover some new-to-me old garden writer. I live for that possibility. I search for old garden books in antique malls and bookstores and online, knowing I'm really searching for old garden writers, kindred spirits from the past, from another era of gardening. I always remember it was summertime when I discovered the garden writers Cynthia Westcott and Buckner Hollingsworth, and of course, Elizabeth Lawrence. Oh, and Charles Dudley Warner, though he wrote just one book on gardening called My Summer in a Garden. Perhaps I should write a book called My Summer in a Gardening Book? 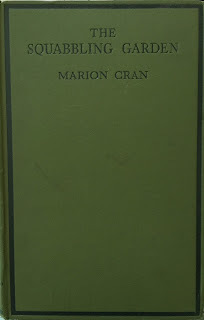 This summer, I may have discovered yet another old garden writer, Marion Cran. As usual, I discovered her down in a rabbit hole of old garden writers on the Internet. I couldn't even begin to recreate the twists and turns, the online searches, the dead ends, the "ah ha" moments that lead me to her. But here I am reading one of her books, The Squabbling Garden, published in 1934. I ordered it a week or so ago, late one night, not really knowing what it was about, but the title intrigued me. The next night, I did some more searching and found out more about the book. I tried to go online and cancel the order but in this fast-paced "ship it as so as they click it" world, there was no canceling the order. But customer service was so kind. They wrote back in response to my request to cancel the order explaining that I could mark it "return to sender" and they would refund my money once they got the book back. Well, the book arrived, postmarked Great Britain, which means it was "dispatched" and not "sent" or "shipped". I love when someone dispatches me a book. Unfortunately, Curiosity was right there beside me when I pulled the package out of the mailbox. Curiousity. She's a funny thing, isn't she? Curiosity opened the package anyway, and then Curiosity opened the book and began to read. I read over Curiosity's shoulder. Yes, there is quite a bit of information about pigeons in the book. But it is about so much more than that. But first, I'll finish The Squabbling Garden. I'm sitting around today reading E.A, Bowles's 'My Garden in summer'. I've had to look up every Geranium he's mentioned…taken a while . I'll have to look up those author's you've mentioned. I think I'd enjoy "The squabbling Garden" . I'm glad you are enjoying the book. How interesting to have this list of garden writers. I will have to track them down! Oh my goodness, I laughed until I cried. This post is hilarious and wonderfully written. I always say, one book leads to another. This is a perfect example of how true this is. I am delighted to meet Curiosity, and can't blame you for reading over her shoulder. 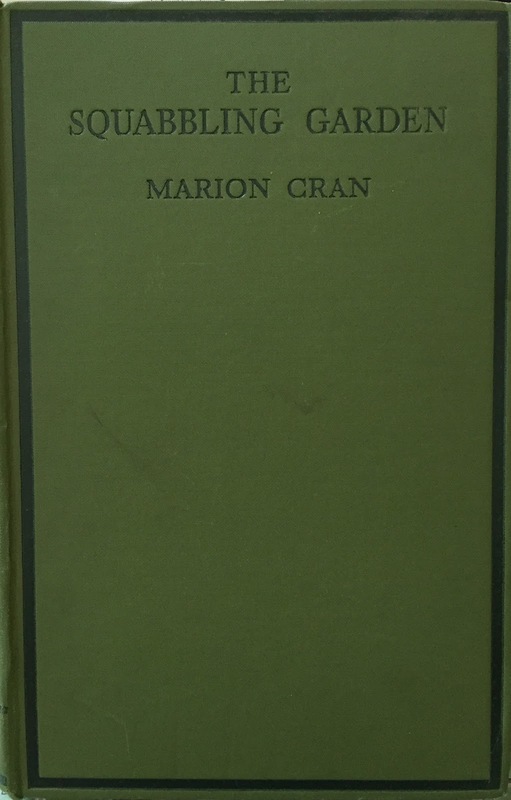 Searching for someone like Marion Cran is addictive refusing to stop the search. I hope it is okay to try and repost this delightful read to my blog. You have created an approach that is a winner for future pieces you will write. Just know that you are not alone in ordering something that turns out to be...what the heck have I done?